Christmas crackers are an English Christmas tradition that have gained popularity in other countries as well. 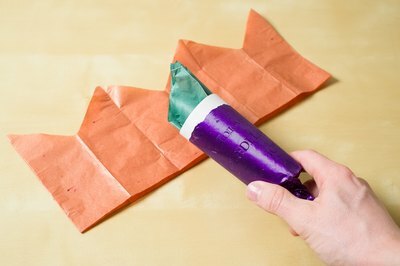 Christmas crackers are small cardboard tubes filled with paper crowns, jokes and small toys or other treats then wrapped in decorative paper. They pop when you open them because of a small cracker snap on the inside. 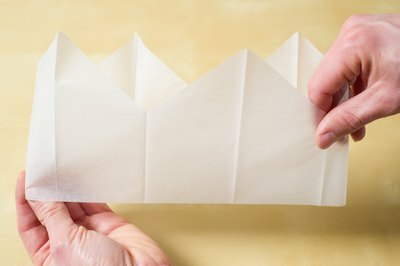 The paper hats that come inside the crackers are fun to wear and even easier to make. 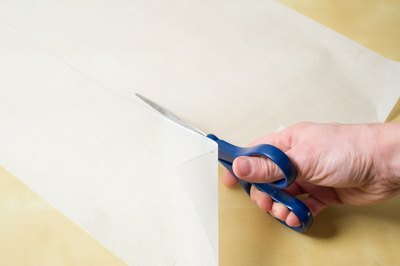 Cut a strip of tissue paper that is approximately 4 to 5 inches wide and long enough to wrap around your head. 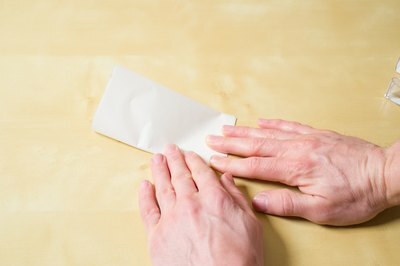 Fold the paper in half and glue the short ends together or secure them with tape to make a round circle for wearing. Fold the crown three or four times until it is approximately 2 or 3 inches long. 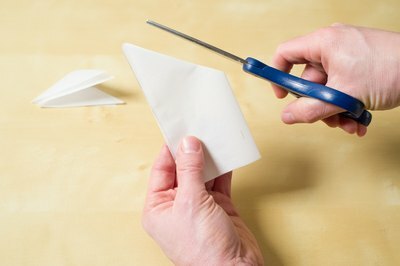 Cut the top edge of the crown; for a basic shape, simply cut one angled line from the top left corner of the folded rectangle going down to the right side by a few inches. 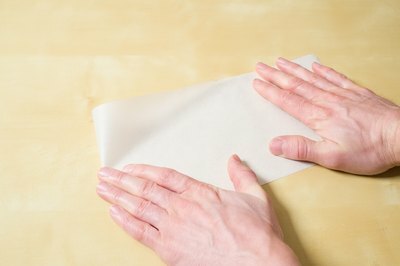 For more decorative options, cut a shape or other design into the top few inches of the crown. Unfold the crown; the shape you cut will now be all over the top edge.